Edward Merrin's destiny changed on his honeymoon. Taking his bride, Vivian, to Mexico, Edward was introduced to the wonders of pre-Columbian art. At first, he utilized ancient figurines as display props in his family's jewelry store showroom, but eventually, the Edward H. Merrin Gallery was born as an independent business in the mid-1960s. Edward's voracity, his appreciation for pre-Columbian aesthetics, and his “eye” led to his status as a true connoisseur. equatable to the Greek goddess Artemis. In time, his business came to encompass the ancient art of the Old World, including that of Egypt, the Near East, Greece, Rome, and Western Europe. Working with scholars and curators, Edward Merrin became one of the preeminent dealers in the field. He acquired individual objects and entire collections through outright purchase or consignment. There is scarcely a major museum in this country (and many throughout the world) that has not acquired works at the gallery (now known simply as the Merrin Gallery). Private collectors in these fields, as well, have been nurtured. The personal connection between dealer and client is a special one. Responding to a client's interests and passions, the dealer is called upon to find that perfect object that will become a part of the client's life. Often, this exploration occurred over a long period of time, as the collector was exposed to myriad choices and came to trust Mr. Merrin's taste and expertise. In addition to being a dealer of renown, Edward also became an expert in the field of appraisals and indemnifications. He advised the IRS on art evaluations and provided assessments for museum indemnifications that facilitated major exhibitions. Edward Merrin is a past president and founding member of the American Association of Dealers in Ancient, Oriental and Primitive Art. Under his leadership, the Edward H. Merrin Gallery exhibited at the prestigious Winter Antiques Show and the International Art and Antique Dealers Show. Edward's son, Samuel took over the Merrin Gallery in 1999 and—like father like son—it continues to flourish. Samuel Merrin's passion for art came already from a young age, and has driven him to become an expert in the field of ancient art. Sought after by leading museums, auction houses, private collectors and other organizations—Samuel Merrin continues the legacy of the Merrin Gallery as one of the top galleries in the world specializing in ancient art. The generational business helps collectors and museums see continuity in the ancient art scene between the two Merrin's, with Samuel sometimes buying back entire collections that his father Edward built throughout the '60s, '70s and '80s. 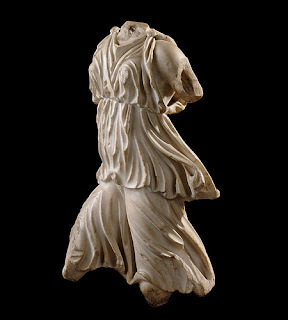 You may find these recent developments with the Winter Antiquities Show of interest.